Director Blake Edwards ignites a powder keg of laughter in this "delightful" (Boxoffice) caper involving a most inefficient search for France's most inept detective - using the bluntest instruments possible! 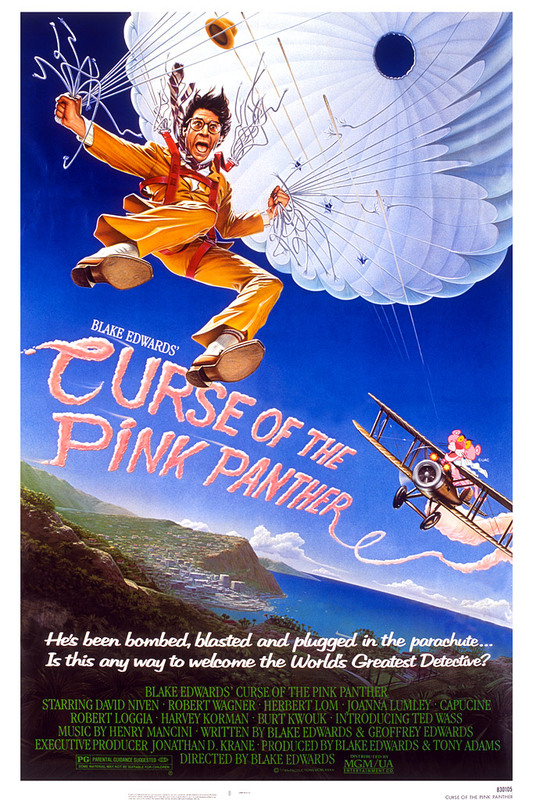 Featuring David Niven (in his final screen performance), Robert Wagner, Herbert Lom, Ted Wass, and a hilarious cameo by Roger Moore, Curse of the Pink Panther overflows with "unadulterated fun" and "naughtiness" (Los Angeles Times)! With Clouseau still missing, the French president orders Clouseau's archrival - the dangerously deranged Dreyfus (Lom) - to find him. Having no such intentions, Dreyfus ingeniously hires the world's worst detective, the New York Police Department's not-so-finest Clifton Sleigh (Wass), to ensure that Clouseau is never located. But it's beginning to look like his fool-proof plan could end up making him look like the fool!